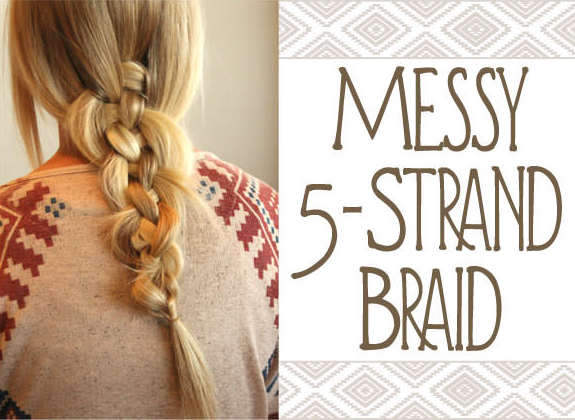 We love this messy 5-strand braid look! It's super relaxed, and well, messy! It looks complicated, but is relatively simple. This might not be the look for a bride, yet, it could work for a barefoot beach wedding, but why not do this on the honeymoon?! Check out the photo tutorial below from Latest-Hairstyles.com, with step by step instructions, and let us know if you'll be sporting the messy chic look anytime soon! Again, wishing my hair was long right now in order to try this look. It is great for days where one wants to have a no fuss style, with just a little bit of braiding.